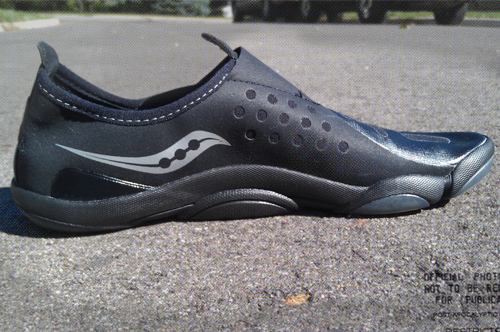 As an attorney, my default mindset is that any revolutionary new footwear is probably a class action lawsuit waiting to happen (see, e.g., Skechers Shape-ups). Based on my experience with running, less padding almost certainly would mean more joint pain. 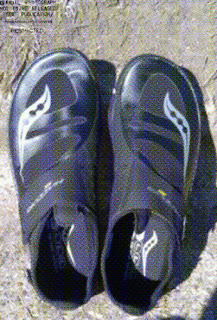 But when I had a chance to snag a pair of barefoot shoes – the Saucony Hattori AW – at a low price, I decided to see what all the fuss was about. Unfortunately, I had to purchase them online, meaning I was rolling the dice a bit. 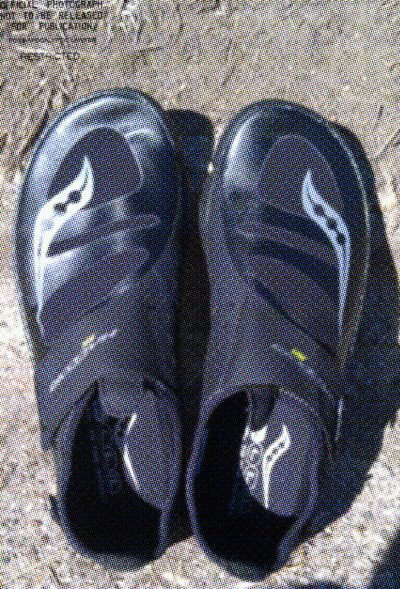 I owned a pair of Saucony Guides, and they had served me well, and the online reviews of the Hattoris were mostly positive. I figured I could use them for shorter runs and certain training routines in the gym. When I first took them out of the box, my initial reaction was not totally positive. They were light, to be sure, but also felt, well, just a little cheap. The Hattori AW (the AW stands for “All Weather”) comes in black only, and the laceless design makes them look like rugged golf socks. The normal, non-all weather Hattori's come in lively color combinations, but don’t offer as much warmth for cold, rainy runs due to a different choice of material. Saucony v. Saucony. Size 10. 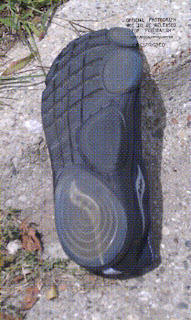 The Hattori’s sole is lightly reinforced at the heel, the ball of the foot, and at the big toe. This struck me as a little odd, considering the goal is to strike at the midfoot (in fact, heelstriking in a minimalist shoe is a recipe for injury). But, hey, it works. I started my first run full of nerves and trepidation, worried that I’d roll my ankle in the first quarter mile. It took about ten minutes before I could think about anything other than how much it would hurt to tear various important ligaments in my feet and/or knees. 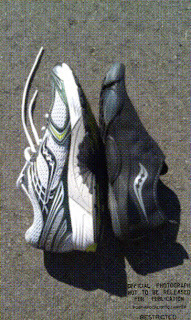 Once I found my stride, however, the “shoes” felt pretty good. I actually ran a little bit further than I had intended. The fit is a little snug with the AW, too tight to wear anything but thin socks underneath. That’s probably okay, because they didn’t seem super breathable and they can get a bit warm. Quick turns are problematic. Sprinting was awkward at first, as I had to keep my stride short and increase my turnover. I’m pretty sure that’s what you’re supposed to do, but heavily-padded shoes create some bad habits. Unfortunately, thanks to near drought conditions in these parts, I haven't yet been able to test experience the joys of the claimed all-weather capability, but we'll see what the next few months have to offer. Overall, I’m pleased with my first minimalist shoe experience. Barefoot shoes might not be all that fashionable, but I’m starting to see the allure. If you want to try barefoot running and don’t want gravel and shards of glass embedded in your feet, give these guys a try.